I haven’t posted for the past few days because I’ve been out and about doing, visiting etc. 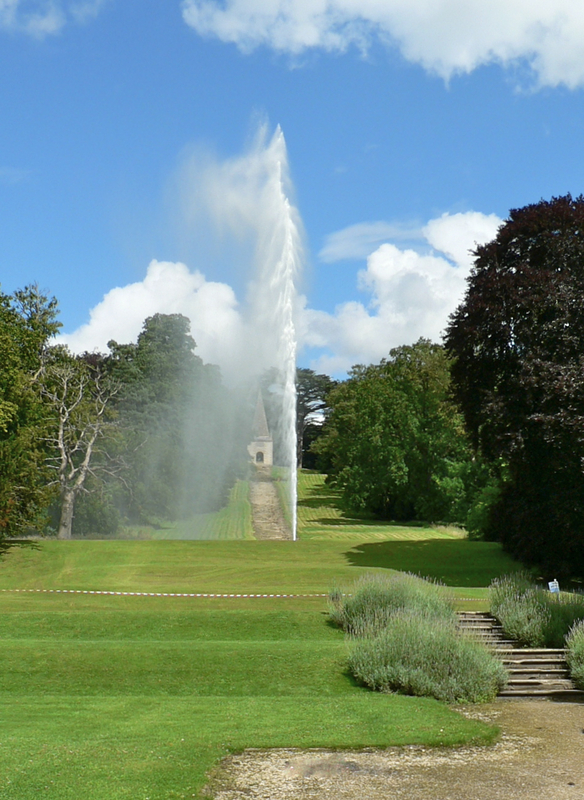 One of the places I visited was Stanway House in Gloucestershire – a beautiful old house and garden, with wide lawns and a variety of magnificent trees. The house is built of a kind of stone called guilting yellow. It really is yellow, so it looks as if the sun is shining there even when it isn’t. The gardens are simple and peaceful – a real retreat from busyness. The picture is of the highest gravity fed fountain in the world. Around the house the air was full of swallows. I couldn’t possibly have photographed them, they move so fast, but the did help me form a haiku. Thank you. I’m so glad you enjoyed it. I loved your ‘Where is she now’ and look forward to seeing more of your work. that must be quite beautiful. wish you had shared a pic of the building! Thank you for stopping by and commenting. I didn’t take any pics of the house – it’s very large and there was nowhere I could stand to get a good shot. However, if you go to http://www.stanwayfountain.co.uk/house.html which is their website there are some lovely pictures there. thanks a lot for taking the trouble to share the URL. i certainly will. thanks again. You’re welcome. Thank you for your interest in the post. Love your Haiku, i think it’s a beauty, and the fountain photo is great! Enjoy your garden retreat!